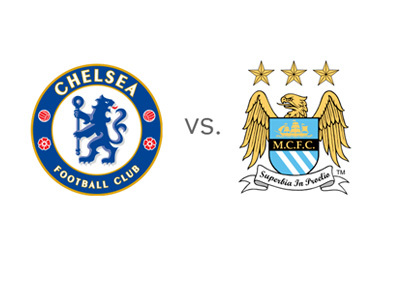 One of the big games this weekend is Chelsea vs. Manchester City, taking place in the English Premier League on Sunday, October 27th, 2013 at Stamford Bridge in London. After eight games played, Chelsea are in second place with 17 points and Manchester City are in fourth place with 16 points. Chelsea most recently beat Cardif 4-1 in the EPL after going down 0-1 and in the UCL they beat Schalke 0-3 in Germany. Eto'o scored his first goal for Chelsea against Cardiff, while Fernando Torres scored two goals vs. Schalke. Jose Mourinho's team is playing well right now. Manchester City most recently beat West Ham away in the Premier League with the score of 1-3, after which the team travelled to Moscow to face CSKA where they held out for a 1-2 win. Aguero scored twice and Joe Hart made a big save at the very end. Chelsea are the favourites. A 100 £ bet on the Blues could return 130 £ in profit, while the same bet on Man City could return 220 £ in profit. The most likely score, according to the odds, is a 1-1 draw, offered at 6/1. Demba Ba, Fernando Torres and Samuel Eto'o are the favourites to score for the London side at 2/1, while Alvaro Negredo is the favourite to score for Man City at 9/4. Sergio Aguero is offered at 3/1 to score. Has Chelsea ever been defeated at Stamford Bridge under Jose Mourinho? Will have to look into this one. Should be an awesome match!